The Bartlett Grammar High School, Bartlett, Texas. 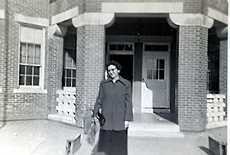 Bartlett outgrew its second school building and plans were made for a new building to be built at the same location. When the time came to begin construction on the new building, the old building first had to be moved. 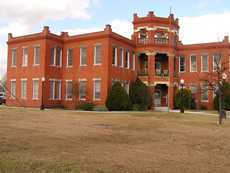 The contract was let to move the old school to the southwest corner of the block so that work could begin on the new building and classes could continue. 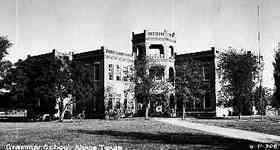 The architect for the building was A. O. Watson of Austin, and a local contractor, Flick and Son, won the bid to build the school. 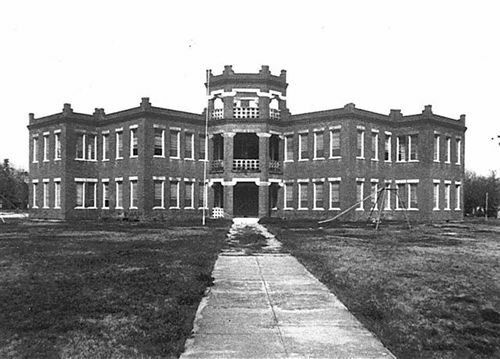 The building, which was actually Bartlett�s third school building, was completed in 1909 at a total cost of around $21,000. It was located on a full city block and centered diagonally on that block. It featured ten rooms, three offices, and an auditorium. It housed all grades from 1909 until 1917, the elementary grades from 1917 through 1966, and the primary grades from 1966 until 1988. 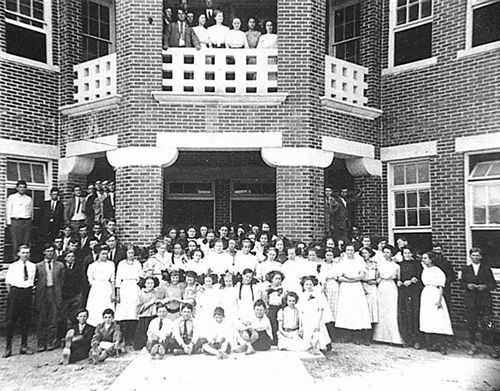 The doors of our building opened for classes the first time on September 13, 1909. Enrollment on opening day was 250 students and the faculty. The architect who designed our building, Arthur Osborne Watson, also designed the school in Alpine, which was completed shortly after our school was completed. - James Persky, Author of A History of Bartlett City Schools. Architect A.O. 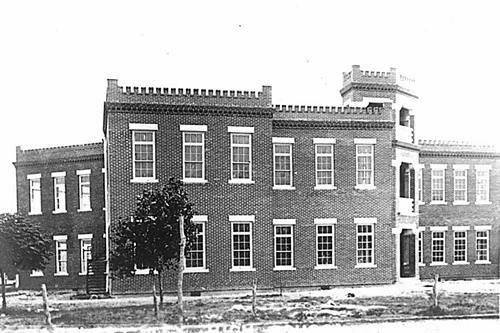 Watson is said to have gone bankrupt building the DeWitt County courthouse in Cuero, Texas.